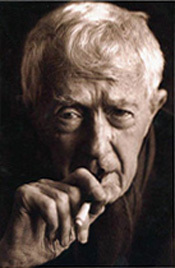 The official Web site for Paul Bowles, expatriate writer, composer and traveler who lived 52 years in Tangier, Morocco. His most famous novel is The Sheltering Sky, filmed by Bertolucci. The contents includes a Paul Bowles biography and another on Paul Bowles, as composer, a two-part bibliography of Paul Bowles' works (poetry, novels, short stories, published books, travel writings and Paul Bowles' translations of Moroccan writers, storytellers and other authors), music scores available and catalogue of musical works, films and documentaries, music sound clips, memoirs, interviews, a Paul Bowles chronology and galleries of photographs. Also included are a biography of Jane Bowles, a bibliography of Jane Bowles' literary works and Paul Bowles archives, resources and links and useful travel information about Tangier and Morocco.